Halloween is right around the corner so what better way to start the season than with a spooky tale and not one, but TWO giveaways! Read the story below and answer one simple question and you’ll be entered into a drawing to win your choice of either The Better Man or Yesterday’s Tomorrow, both available at Still Moments Publishing. 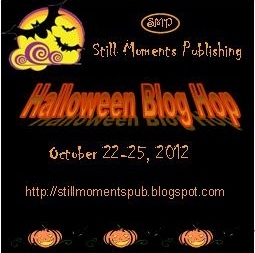 You’ll also be entered into the Still Moments Publishing giveaway which has awesome prizes as well! Make sure you leave your email address when you comment. Without an email address we can’t send you your prize if you should win! Now, sit back and enjoy the story! I’m looking forward to your comments! Every time Kara passed the house, chills ran up her spine, bursting out through her body, reaching her fingertips. Once she had pulled over to the side of the road, across from the deserted building to take a picture of it. She hadn’t gotten out of the car, didn’t dare to, as if not having the closed door between her and the old house would provide some kind of psychic barrier—protection—from whatever was rumored to lurk inside. She’d found out something about the house. It had been built in the early eighteen hundreds and had once been a part of a two hundred acre dairy farm. Windgate Farm. Over the years the land had been sold off and eventually the house was abandoned. There were a lot of theories as to why the family had deserted it. Lots of rumors and old ghost stories. A double murder. A crazed man who killed his wife and two kids with an ax. A crazed woman who killed her husband and two kids with an ax. Of course the stories couldn’t be verified. Kara had tried to search for the truth, but the only information she could find about Windgate Farm was that it was owned by a man in Ohio and no one had lived in it for at least fifty years. Even in daylight the place looked creepy, and the same icy shivers slithered down her spine. Today Marc was driving her car, but she didn’t feel any more comfortable with him at her side when he pulled into the driveway. “I better park in back,” he said and slowly pulled the car around until it was hidden from the road. “No Trespassing” signs were tacked up everywhere and what they were doing—what they were going to do—would certainly be considered trespassing. “I feel sick,” Kara muttered and pressed her hands into her belly. If only the butterflies would calm down. Kara licked her lips. They were as dry as her mouth, but she looked at Marc and managed a shaky smile. Marc had been inside the house once, long ago. When he was a teen he and two friends had climbed through a window and explored the house. She recalled his story. Just thinking of his word were enough to creep Kara out. “I thought it was the girls trying to scare me, so I decided to beat them at their own game.” Marc had snuck quickly through the house, around so he’d catch up to them. The footsteps behind him kept up, so Marc went faster. Of course he went after Robin, dragging a reluctant Diane with him. “We’re crazy.” Kara stared at the house. It wasn’t huge, but it hulked over them like a behemoth of doom. Once it had been white, but now it was grayer with a few scraps of white paint clinging to the sides. Every window had been boarded up and sported a “No Trespassing” sign, except for one window that must have been in the attic. No one in their right mind was going to climb up and enter from there. No one in their right mind should have even considered going into the house. Period. “Come on. It’ll be fine.” Marc pushed the door open and stepped out. Reluctantly, Kara followed and shoved her hands into her jacket pocket. They were tingling with anxiety. She drew in a deep breath, practically tasting the musty fall leaves that had blown up over the years against the house. A brisk breeze rustled the branches overhead. Kara looked up. The trees looked skeletal, brown and rust colored leaves holding on in the late October chill. “How do we get in?” The boards looked pretty secure. It would take a crowbar to pry them loose. Marc’s little brother, Tony was an idiot. Tony was why they were there. He’d decided to have a pre-Halloween party here at Windgate and he’d told Marc about the crazy sounds coming from the upstairs. Though most of Tony’s buddies didn’t freak out, there were a few who had jumped ship and left the party, but more stayed behind. One of them had snapped a picture with their phone and sent it to Marc. A picture of a figure and it looked like it was holding an ax. Kara wanted to convince herself that it was just one of Tony’s jackass friends who wanted to scare people. Except for the fact the figure was see through. Marc had to push aside a heavy pine branch that had fallen on top of the rusty old bulkhead door. The metal screeched painfully as he pulled it open exposing a black pit. “Really, Marc?” Kara took a step backward. Kara wasn’t convinced, but Marc was already halfway down the rickety wooden stairs that led down into a dank cellar that smelled of rotten leaves and something dead. Kara didn’t have to close her eyes to conjure up the image of a maniacal killer wielding an ax over two innocent children. 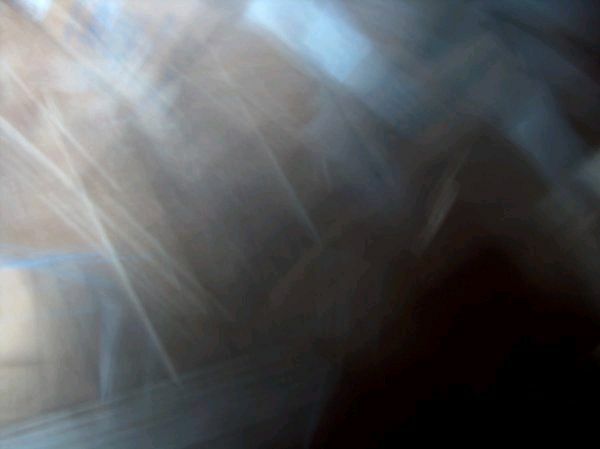 Her stomach took a wretched twist and she almost dropped the camera she had clutched in her fist. The sweep of Marc’s flashlight revealed another set of stairs on the far wall. 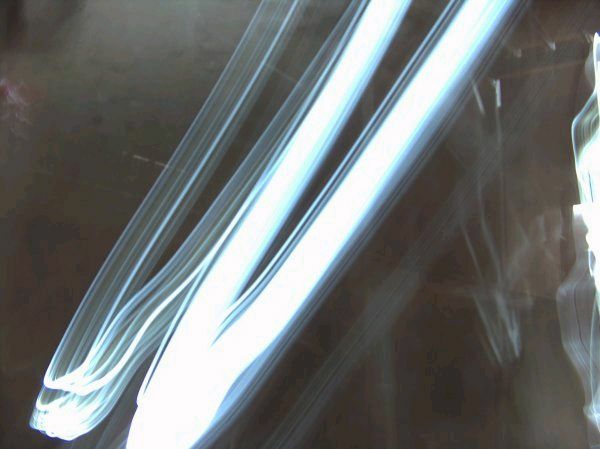 Any light from the bulkhead diminished quickly and they had to rely on the beam of light. At least I can’t see what lies beyond that ray. Still, she reached out and grabbed Marc’s hand. The human contact soothed her galloping heart just a little. “Everything looks the same,” Marc said when they came through the door at the top of the stairs. Like he’d suggested, the upstairs was considerably lighter, even with all the windows covered with particle board. There was enough light to be able to examine the bare room. Any appliances had been stripped out, leaving old countertops, a big sink that, after quick inspection, was filled with leaves, grit and more than a few dead bugs. Three beer bottles stood on the counter, leftovers from Tony’s party, no doubt, although Kara was pretty sure there had been other trespassers, possibly a few squatters, over the years. He was documenting who he was with and where they were. This was as good a time as any to get started. Kara snapped a few pictures of the kitchen, turned around and took a picture of the stair leading down to the cellar. She refused to look at the results—not until they were out of there. If she scanned back to examine what she’d taken and saw something that creeped her out, she’d be running from the place just like poor Robin had done years ago. Kara knew he wasn’t talking to her so she didn’t reply, just followed along, taking pictures as she went, listening for any indication that they weren’t alone. So far all was silent except for Marc’s monotone voice. Nothing in the living room either, except for more beer bottles, a make shift ashtray made from a beer can that had been sliced in half and more leaves. The walls had once been covered with wallpaper, but now it was pulled back, exposing bare wall. Black mold grew in the corners, under windows and when Kara looked up, on the ceiling as well. She cringed, but disgust didn’t alleviate the growing apprehension. As quiet as the house was, she felt as if they were being watched. She continued to snap pictures. Kara glanced at Marc’s back. Did he really want an answer? Silence weighed heavily against her ears, broken only by the thud of her heart, and suddenly, from somewhere up above them, a long scrape of something against the floor. She nearly dropped the camera. Two sets of footsteps ran across the room right above us and then a door slammed. Marc shook off her hold. “Shh. This is awesome,” he whispered and put foot on the bottom step. “No, it’s not. I’m scared!” She tried to grab him again but he yanked his arm away more forcefully this time. He never stopped aiming his camera up the stairs. “Why are you still in this house?” Marc’s voice was louder now, more eager. Kara dropped her camera. This was insane. “Marc, really, let’s get out of here.” Her throat was so thick with terror that she could barely push the words out. Every bit of her shook. This wasn’t funny. This wasn’t adventurous. This was downright horrifying. “No, I’m going up. God, Kara, I’m going to be okay. Nothing up there can hurt me.” Marc gave her an encouraging smile and touched her chin. “Stay here. I’ll be down in a minute.” Then, with camera back up to his face, Marc continued to climb the narrow stairs, leaving Kara alone in the living, surrounded by years of neglect and God knew what else. And more importantly, no easy escape. The only way out was through the black pit of the basement and after the commotion upstairs, there was nothing she wanted to do less than go down into that cellar. More footsteps rapidly crossed the floor above. More voices. Muffled, urgent. What in God’s name was going on up there? “Marc,” Kara called from the living room. She couldn’t go near the stairs, afraid of what she might see up there. Marc didn’t reply. At least not to her, so she called louder. And then shouted. A silence fell from the upstairs, but it pushed against her head. It wasn’t natural. The calm before the storm and she knew it was going to be brief. Again she had the distinct feeling of being watched. She swung around but no one was there. She could have been completely alone in the house if she didn’t know better. But of course she did. Marc was still up there, finding God knew what. She just wanted to leave. To hell with him and his ghost hunting. Nothing good could come out of this and she should have known that, but she let him talk her into this. So damned gullible. Leaving, though, meant going back down into the darkness and Marc had the flashlight. Kara went to one of the windows and pushed at the board. Solidly in place. The living room, despite the fact it was buttoned up completely, filled with a deep chill, curling around her ankles, pushing itself up her body. A breeze brushed against her fingers, tickled her cheek. Another smash shattered the silence from above. Another cry for help that didn’t come from Marc. Footsteps thundered across the floor and something solid and heavy hit a wall. “Run, Kara! Get the hell out of here!” Marc’s voice from above was loud enough, urgent enough, but she hesitated. A few minutes ago all she wanted to do was leave, with or without him, but now she couldn’t imagine leaving him behind to the smashing that came from the second floor. Heavy footsteps thudded down the stairs. “Marc!” Relief mingled with the abject terror gripping her. Kara ran to the bottom of the stairs. Thank God he was coming down. They could leave together. But Marc wasn’t there. Wasn’t the source of the clunking of feet on the wooden surface. No one was there. Yet something grabbed her, a tight arm wrapping around her waist, lifting her off her feet and propelling her toward the front door, which she knew was also boarded from the outside. The last thing she remembered was splintering wood as the invisible force that held her crashed through to the sweet air of the outdoors. A year passed before Kara could watch the video Marc shot that day. The police had returned it to her, along with the camera she’d left behind, three months after that horrible Halloween day. The police had questioned her over and over, first as a suspect, then as a witness, but there was very little she could tell them, except for the truth—right up until the moment something carried her out of the house. They had thought she was the one responsible, but that was soon proven impossible. Kara had been found unconscious on the opposite side of the road at three-thirty. According to the video, Marc hadn’t died until ten minutes after five. No one had known he was still in the house until the next morning when she finally woke up. Alone, Kara sat on the floor in the living room, leaning against the couch. The video camera sat on the table in front of her. Over the past year fear was a constant companion, usually at night when sleep eluded her. She’d see and hear things she thought she left behind at Windgate Farm. They were never far away. Right now terror reached out with its icy fingers and gripped her throat, slowly tightening its hold, while spreading frigid tendrils into every limb. Kara switched on the camera. The police must not have rewound it all the way because the video began with her pleading for Marc not to go upstairs. The camera swung around, caught a flash of her pale face, her eyes wet with tears. Marc telling her he’d be down in a minute. Shadows danced against the peeling wallpaper on the second floor as Marc slowly climbed the stairs. His breath was heavy and quick, but in a low voice, Kara could hear him ask who was up stairs. She wanted to shut her eyes, press her hands against her ears to block out the sounds of footfalls and doors opening, doors shutting, voices that were muffled, yet so close. But she watched. Listened. Even though she expected it, remembered it as vividly as if it were just yesterday, the smash, followed by the call for help, made Kara jump, letting out a whimper, she slapped her hand over her mouth. She could hear her voice, weak and distant, calling Marc’s name, but he didn’t answer her, just moved from one room to another, the camera bouncing so the picture wasn’t clear. Clear enough to see the figure in the dim light. Small and reaching out. And then another shadow. Running behind him. “Christ, oh God.” Marc’s voice was a scratchy whisper, but loud enough for the camera to pick it up clearly. Another crash, this time a door. Marc had opened a door. Thin light eased the darkness and Kara made out stairs. To the attic. And he climbed up those stairs into the big attic. Kara recalled the one unboarded window that overlooked the yard. What was Marc doing? Investigating further? Or taking refuge? Her answer came soon enough. With camera still in hand, he must have found a spot to hide, behind a bookcase or cabinet of some sort. Kara fast forwarded. Nothing was happening, just Marc videotaping the gray-lit room. The clock on the video sped forward, past the time she had allegedly been found across the street. She stopped on occasion, to see if anything was happening, but all she heard was Marc’s breathing and mumbling, words she couldn’t understand. Oh God, Marc. I’m so sorry I deserted you. His fear dragged her own out. It filled her, this horrible anticipation. She wanted to turn the camera off. Why did she need to know what happened to him? What possible difference could it make now? But it did make a difference and she fast forwarded more until the clock read five minutes after five. “Please leave, Marc,” she told the camera, even though she knew it was foolish. But wishing she could make a difference now. There was still enough daylight bleeding into the room to see everything in the attic in shades of grey. Marc moved slowly, the camera still up to his face. Kara sucked in a lungful of air and held it. Five ‘o eight. The only sound was his shuffling feet. He was trying to be quiet, not to draw any attention, but his foot struck something and he swore quietly under his breath. He paused, Kara imagined, to listen, make sure he hadn’t disturbed anything. Then after a long moment he started walking again. From one floor below. It sounded like a door hitting a wall. Marc gasped. Kara imagined it was Marc’s voice, but it was too high pitched, too feminine. Too far away. Marc held his spot at the top of the stairs, filming the bit of hallway below. A shadow rushed by, as if missing its solid counterpart. A woman in a skirt perhaps? Then came two small shadows close behind. The woman and her children? Kara recalled the tales about the man who brutally murdered his wife and children. Then one of the shadows stopped, right at the bottom of the stairs. Turned to face the stairs. “Oh my God.” Her voice echoed Marc’s on the video. The shadow began to climb the stairs with light footfalls followed by a thud of something heavy. Marc fell back. Still held the damned camera, but pulled back, maybe to find a place to hide again. Step, thud. Step, thud. Not stopping until it reached the attic. Kara heard Marc praying. He’d never been a church kind of guy, but he was calling on God now. She wanted to turn the camera off and throw it out the window, to never see it again, but she had to watch. Marc up against a wall. The step, thud coming closer until it seemed so loud it would burst her ear drums. Then in the dim light that reached through that little attic window a face took shape and consistency. A child. A little boy who couldn’t be more than seven. Big, dark eyes. No, black eyes. Soulless eyes. The little boy raised the heavy ax. The video camera flew out of Marc’s hand and faded to black. Some photos taken that horrible night. Okay! Question time. What is Marc’s brothers name? Marc’s little brother’s name is Tony! WOOT WOOT! Wow! You really went all out. I wish I could bring on the creepy like this! Tony is his brothers name. Nicely done ! Hey Ceri. Spooky story, all right. And Tony is his name. Awesome story, Ceri!! I read it first thing this morning and it stayed with me throughout the day!! Wow, thanks, Dani! That is so good to hear! Spooky! His name is Tony. Good! Then I’ve done my job. Thanks for stopping by! Marc’s brother’s name is Tony. LOL Did you have a good nights sleep? I’ll make sure you’re entered into the SMP giveaway! Thanks for stopping in! TONY and that is one creepy ending. Since I’ve never read your stories, I’d love to win! SMP authors ARE allowed to participate, right?? Great story Ceri! Marc’s little brother is Tony. Thanks Lisa! I’m glad you stopped in! Brother: Tony Gillespie! Good short story! Hi Toni! I’m glad you stopped in! I appreciate it!